Royal Far West; it's time to get a little social ! On Sat February 4 we will stage our first of three Ride for Country Kids Social Rides. The rides are open to all participants in the Ride for Country Kids Ride and people will have the option of a 41 K or 59 K loop ride. Anyone looking to ride further than this should simply ride too or from the start destination of Terrey Hills. The Social Ride kicks off at 7 am sharp from the corner of Yulong and McCarrs Rd Terrey Hills. This option is for participants looking to ride around 22 to 25 K an hour average pace throughout the event. 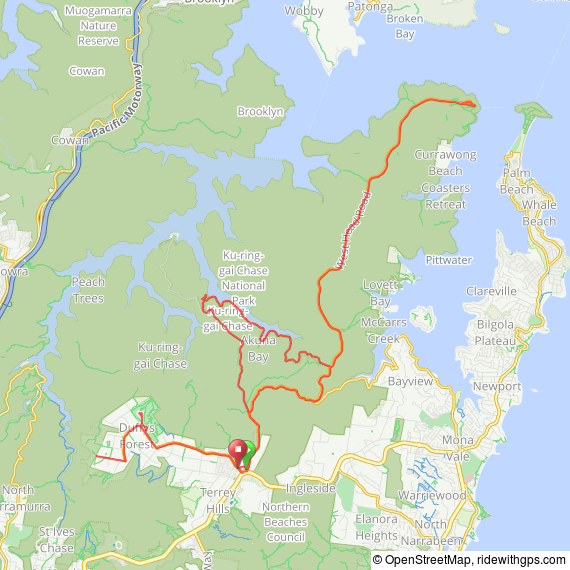 The route basically takes riders out towards Duffys Forest, around the Golf Course and a few back roads of Terrey Hills before dropping down into McCarrs. Riders will get an opportunity to ride in a peloton and to cycle around 41 K and climb 603 vertical meters. Ride Captains will control the pace of this group and it will finish back at Terrey Hills were riders can purchase a well deserved coffee and chat about the tour ahead. This option is similar to above albeit it includes West Head and enters McCarrs anti clockwise. The ride distance for this loop is 59 K and the ride elevation is 916 vertical meters. On conclusion of this loop riders will also finish at Terrey Hills were they can purchase a well deserved coffee and chew the fat. Ride Captains will also manage the pace of this group and participants who take up this option should be looking to do around 26 K and above throughout the Ride for Country Kids event. This group should be semi experienced to experienced peloton riders. The Fixed Wheel will provide mechanical support throughout the Country Kids Ride and Dan Bricknell from the Fixed Wheel will be present on these training rides alongside our Ride Captains of Danny Wright, Jason Pitkeathly and Aaron Dunford; so make sure you say hi and feel free to ask them questions about bunch riding, bike fitness, mechanical preparation. Always a good idea to check your bike before you leave home; so pump up those tyres and ensure your bike is ready for the road and not the shop. High 80% chance of showers. We will update the weather on this blog Friday evening so please check here for updates. For safety reasons we will not stage the social ride if heavy rain or storms. Well what a year; and 2018 looks even brighter. Another EPIC TourXOz done and dusted and for so many reasons it will go down as one of the all time special moments in my life. In 2017, the Steve Waugh Foundation's Captains Ride will head to beautiful Tasmania. Riders will ride into the beautiful townships of Launceston, Devonport, Cradle Mountain, Strahan, Tarraleah and Hobart. 800 K and over 10,000 vertical meters of Tasmanian wonderment awaits. You can choose to register for 1 night stay ($485) or 2 nights stay ($555).